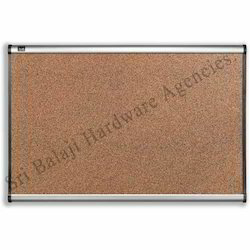 We are a leading Manufacturer of display boards, pin notice boards and welcome board from Chennai, India. Backed by a technologically-advanced manufacturing facility, we trade and supply a premium quality range of Display Boards. Offered display board is used in training departments, colleges & schools for teaching reasons. The offered display board is also provided in custom designs & known as best communicative tool also facilitates display of text, presentation, and image. Our company is one of the most well known companies in field of supplying and trading of Pin Notice Boards. These boards are manufacture by high grade quality of raw material which makes it more durable, tensile and sturdiness. 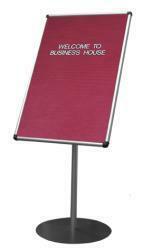 Available in various specifications, our Notice Boards are light in weight. 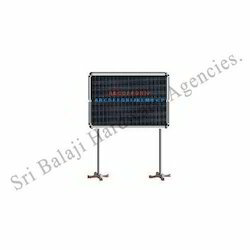 We are the leading manufacturer of Welcome Board in chennai.